The search continues for a new dean of the James M. Hull College of Business, and the mission is clear: find the right person for the job. Finding someone who can not only perform the required duties of the position, but also live up to the impressive standard set by former dean Dr. Marc Miller, however, may prove difficult. It is for that reason the search committee has reached out to Parker Executive Search, a leading global retained executive search firm with a proven record of filling executive positions with qualified individuals. If the name sounds familiar, it’s because you’ve heard it before – Parker Executive Search was the same firm that ran GRU’s latest presidential search. Earlier this year, Miller left his position as dean when he was named Georgia Regents University’s Director of Economic Development and Entrepreneurial Engagement. A detailed explanation of what the position entails can be [found here]. 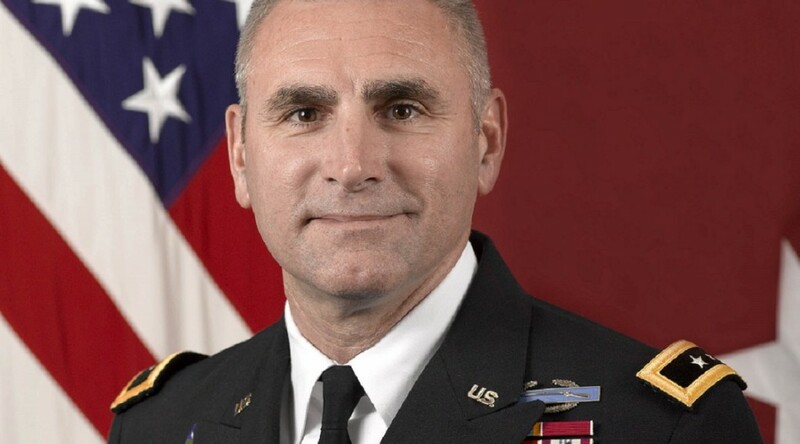 AUGUSTA, Ga. – Maj. Gen. John Davis, senior military advisor for cyber to the undersecretary of defense for policy with the U.S. Department of Defense, will address “Ethics in a Cyber World” as part of The Russell A. Blanchard Distinguished Lecturer in Ethics series at Georgia Regents University. The free lecture will take place at 6 p.m. on Oct. 8 at the Jaguar Student Activities Center ballroom on GRU’s Summerville Campus. No registration is required. As the acting deputy assistant secretary of defense for cyber policy, Davis helps the U.S. government and the Department of Defense develop and implement cyber strategies. He also helps ensure that U.S. cyber policies adhere to Department of Defense guidelines and strategies. Before this assignment, Davis was director of current operations for the U.S. Cyber Command in Maryland and deputy commander of the Joint Task Force-Global Network Operations in Virginia. For his service, Davis received the Defense Superior Service Medal, Legion of Merit and the Bronze Star Medal. The “Ethics in a Cyber World” lecture is sponsored by Georgia Bank and Trust and the James. M. Hull College of Business at Georgia Regents University. This is the 10th anniversary of The Russell A. Blanchard Distinguished Lecturer in Ethics series. James M. Hull College of Business student Amy Richardson has successfully completed the Internal Audit Internship Program as of August 2015. Over the course of the summer, she logged nearly 70 hours and contributed substantially to a variety of audit projects. Richardson joins eight other alumni in the Internal Audit intern Hall of Fame. An accounting major, Richardson expects to graduate in May 2016. She is married with an 8-year-old child and says her creative outlet comes in the form of cake decorating. Richardson is becoming well-known in the Augusta community for her cake artistry. The IA Internship Program is intended to provide an introduction to audit for students who are contemplating a career in internal audit. This is a volunteer internship that is particularly valuable to students who are seeking relevant professional experience as they develop their resume. The program is designed to enhance classroom learning by providing “hands-on” fieldwork and project management opportunities. The internship qualifies for course credit as a general elective if the student so chooses. Interest in the Internal Audit Internship Program continues to build. Shannon Runger, also a student in the Hull College of Business, will begin her internship with the start of the fall semester. For additional information about the Office of Internal Audit Internship Program, contact Kathleen Boyd, associate director of internal audit, at 706-721-9525 or kboyd50@gru.edu. AUGUSTA, Ga. – If you have a great idea and want to turn it into the next big thing, you could get help for free. 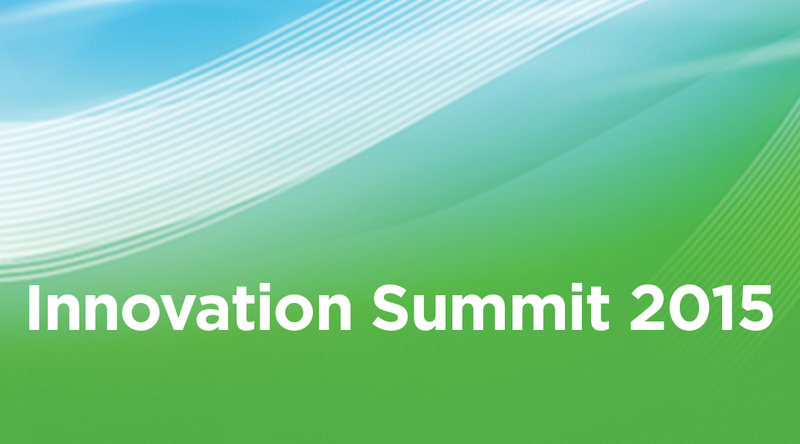 Beginning today, registration is open for the Innovation Summit 2015, sponsored by the Office of Innovation Commercialization and the Hull College of Business at GRUand the Savannah River National Laboratory. Experienced innovators speaking at the event will share trends, strategies and advice and could assist people in transforming their big ideas into great products and services. “We’re very excited to host this third annual event which celebrates innovation, highlights how that innovation moves into the marketplace, and inspires us all to take those next steps and dare to make a difference,” said Chris McKinney, associate vice president of Innovation Commercialization at GRU. The event will take place from 8 a.m. to 4:30 p.m. on Oct. 6 at the Salvation Army Kroc Center at 1833 Broad St. in Augusta. There’s no cost to attend the summit, but space is limited. You must register in advance at http://gru.edu/oic/summit/. Breakfast and lunch are included. For more information, visit http://gru.edu/oic/summit/ or contact Rachel Solomon in the Office of Innovation Commercialization at RSolomon@gru.edu or (706) 721-0153. In anticipation of the fall 2015 semester, the focus of educators once again shifts toward curriculum. What’s new, what stays the same, and what do our students need to remain competitive in an ever-changing workforce? 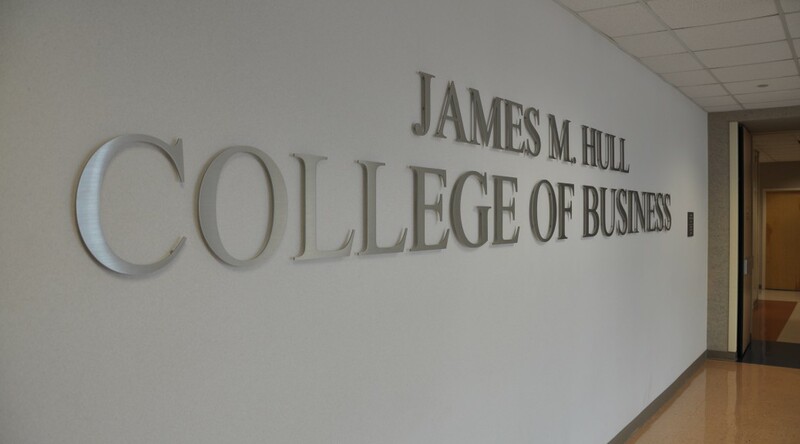 The James M. Hull College of Business is looking to answer all three questions at once. Their response? The Cyber Defender and Advanced Cyber Defender Certificate programs. Hull’s Cyber Defender and Advanced Cyber Defender Certificate programs, which officially began in the fall of 2013, offer two routes for students interested in taking a closer look at cybersecurity. 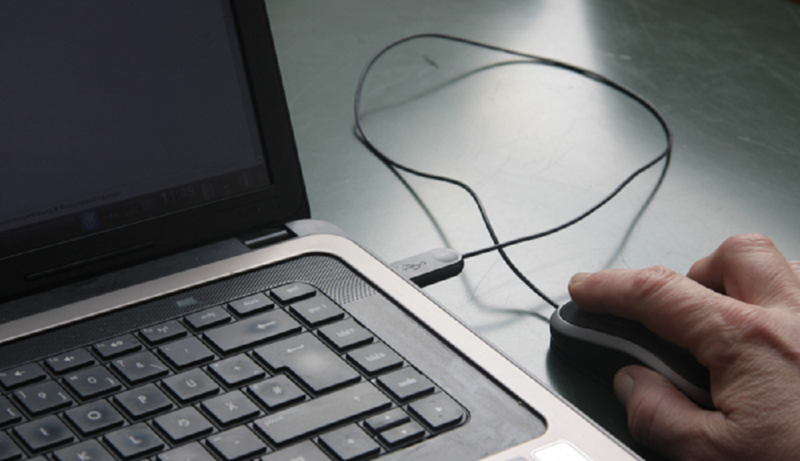 The Cyber Defender Certificate program, intended for students seeking a broad understanding of cybersecurity, consists of three required courses and three electives. The required courses include Principles of Computer Programming I, a course that teaches students the basics of cyber-related problem solving, and Introduction to Computer Networking, a broad-focus course that introduces students to the concept of networks and network security. Most important, perhaps, is the Introduction to Cyber Security class. Through a series of lessons, students taking the Intro to Cyber Security class learn about the importance of cybersecurity in today’s work environment and how they must become their own first line of defense against a potential cyberattack. Sexton also said that all of Hull’s applied information and system technologies majors earn the Cyber Defender Certificate on their path to graduation, and around 25 percent of their computer science majors do as well. 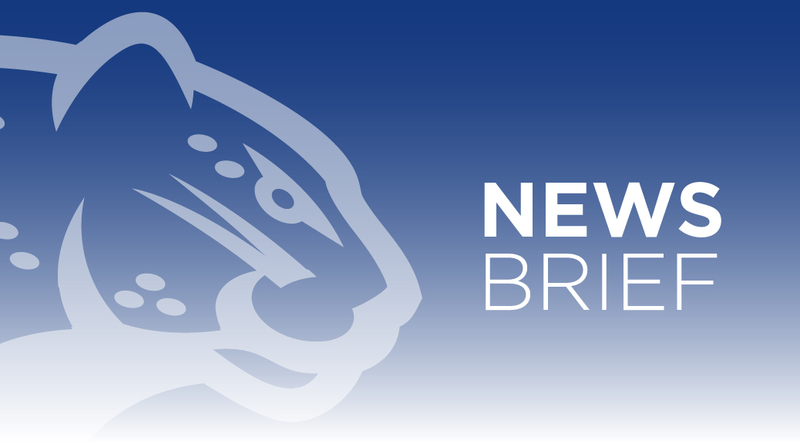 The alternative to the Cyber Defender Certificate, Hull’s Advanced Cyber Defender Certificate, is designed for students interested in making advanced cybersecurity one of the foundations of their career path. In addition to the courses required to obtain the Cyber Defender Certificate, students complete 13 courses, including Digital Forensics and Cyber Network Defense and Countermeasures. Sexton stressed the importance of cybersecurity as a workplace concern, regardless of one’s chosen occupation. Sexton said Hull has no trouble selling students on the idea of earning their certificates. She said that, increasingly, business students were coming to understand the importance of protecting themselves and their interests online. 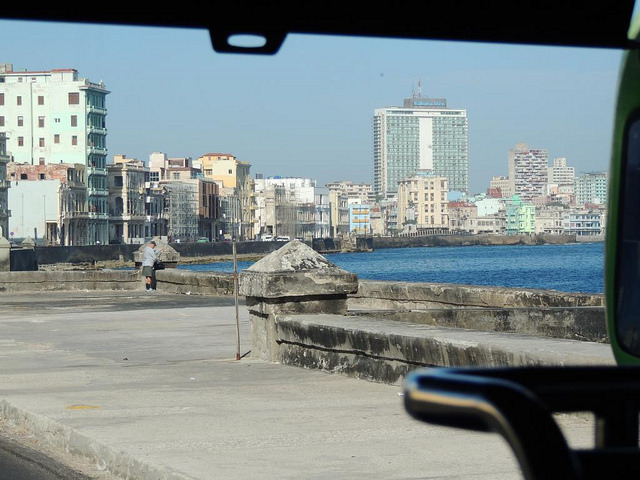 For most Americans, Cuba probably seems an unlikely vacation spot. The largest of the Caribbean islands, the scenic little nation sits less than a hundred miles from the coast of Florida, little more than a 45-minute flight from Miami. Unfortunately, for the last 60 years, an ironclad embargo and rocky relations between the U.S. and Cuba’s former Soviet handlers have kept most beachgoers at bay. As a result, today few Americans have ever set foot into Cuba. Of those who have, even fewer have done so legally. 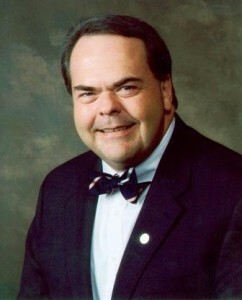 But Don Howard, professor of management in the Hull College of Business, has been multiple times. And in the company of Georgia Regents University students, no less. 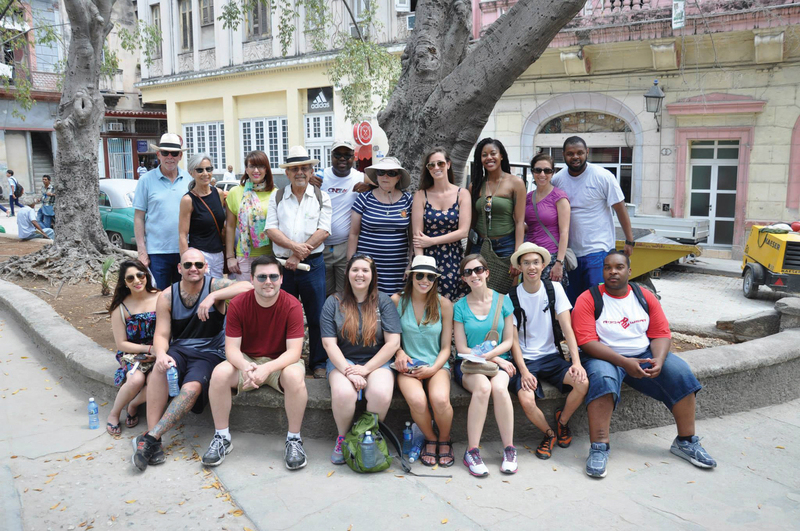 His trips, facilitated by the GRU Study Abroad office, are the first of many possible American visits to Cuba in the coming years. Having recently restored formal diplomatic relations with the United States, the country is moving into unprecedented territory in terms of tourism interests, a shift in economic upswing that, Howard says, Cuba was far from prepared for. A typical street salesman hawking wares to tourists might make that much in an hour, Howard said. The reason? Price differentials and tourist ignorance. Hearing that a street salesman makes as much as a heart surgeon may sound disconcerting at first, but the truth of Cuba’s health care system makes the realization all the more shocking. Cuba has some of the best health care in the world. In its World Health Report, published in 2000, the World Health Organization ranked Cuba 39th among national health care systems. By comparison, the United States was ranked 37th. Cuban doctors are renowned throughout the world thanks to the Cuban Medical Internationalism program, a system designed to send Cuban doctors and medical relief to more than 100 countries around the world. The program seems to work, too. In 2007, according to an article published in Latin American Perspectives, Cuba provided more medical personnel to the developing world than all of the G7 nations combined. Not to mention, at home, that same health care is free. But the Cuban system definitely has its downsides. The Cuban people make such low wages in part because the Cuban government rations certain food items. The Libreta de Abastecimiento, translated to “supplies booklet,” refers to the Cuban system of using vouchers and coupons to obtain certain types of foods. Some of the items rationed include dietary staples, but others are minor necessities that capitalist countries often take for granted. Part of the reason for that, however, is that beans and rice tend to have long shelf lives, thus making them ideal for long-term storage. Other rationed items include things like sugar, matches and oil. “Or you could get your one cigarette for the day, if you wanted,” said Howard. While the practice of food rationing is a tried-and-true communist tactic, Cuba’s economic model is truly unique, especially when compared to the previous communist model under Fidel Castro. That was the primary focus of the study abroad trip, Howard said. According to Howard, the atmosphere, availability of goods and public perception vary wildly between state-run stores and privately owned businesses. As a result, there tends to be a great deal of disparity in Cuban shops. 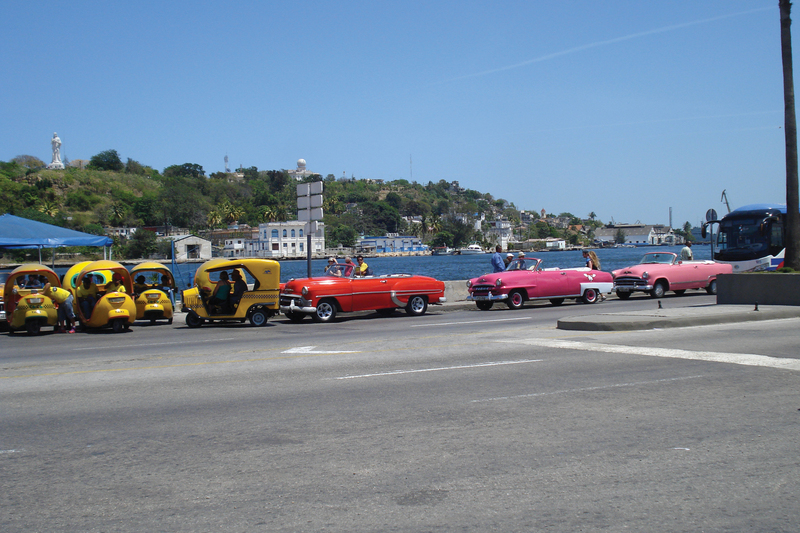 Outside of its politics and economic system, Howard said, Cuba is a gorgeous country with an odd, but familiar, identity. Misconceptions abound around the little island, though. One common misconception is that religion has been stamped out entirely in Cuba. Not true, said Howard, though the nation’s religious ambivalence is much greater than our own. Havana, Cuba’s once-gleaming capitol, was a favorite among his students. 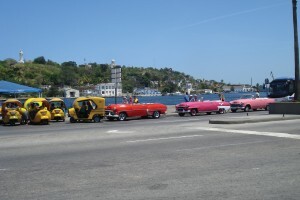 They enjoyed the sights and the culture, especially the music, which has long been one of Cuba’s greatest selling points. Howard himself said the city was breathtaking, though admittedly, it too has its flaws. If the Ambos Mundos hotel sounds familiar, you might be a fan of fine literature. In the 1930s, the famous writer Ernest Hemingway spent seven years living in the Ambos Mundos hotel. There, amid the roaring culture and moral wilderness of Cuba’s golden age, he began one of his most famous works, “For Whom the Bell Tolls.” Today, the hotel still keeps his room on the fifth floor set aside as a museum and memorial, a living testament to a man many Cubans consider a tragic hero. 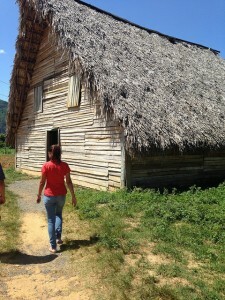 In addition to their tour of Havana, students were taken out into the country to see an often unseen aspect of Cuban life: farm culture. Mid-week, students left Havana to travel to Viñales, a mountain farm community in the Pinar del Río province of Cuba. 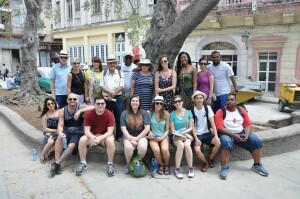 On their trip, the students ate the way Cubans did. In the country, students got to meet and interact with guides, young men and women who worked in the fields. Howard said students took quickly to the Cuban youths, but that he cautioned them about what they said and asked. 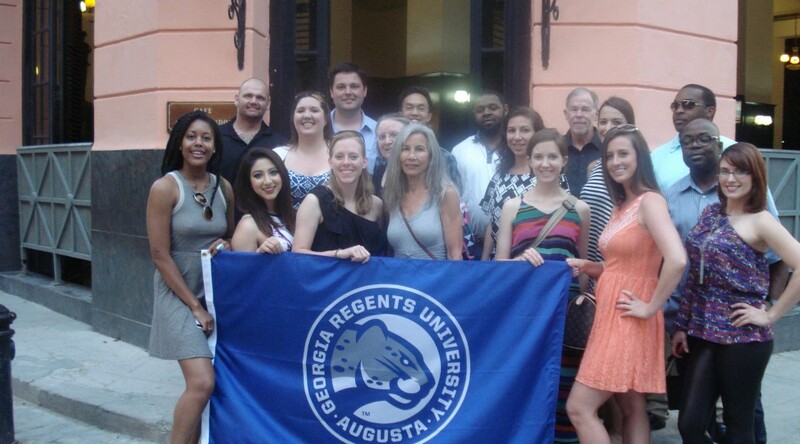 In addition, students met with faculty and staff of the University of Havana. All four of the individuals were Communists, Howard said, but readily admitted that their system had its flaws. All said, though, they remained committed to their country and the future of Cuba under Raul Castro. Howard said there was some apprehension about traveling to Cuba at first, but that it wouldn’t stop him from returning. He plans to go again in the spring of 2016 with a new group of students. He encourages others to give Cuba a try as well. For more information about Study Abroad or upcoming trips, contact the Study Abroad Office at 706-729-2306 or email Maria Darley at mdarley@gru.edu. Joanne Sexton has been named Director of the Georgia Regents University Cyber Institute. Sexton, a former information technology expert for the U.S. Navy, previously served as GRU’s director of Cyber Education Initiatives. 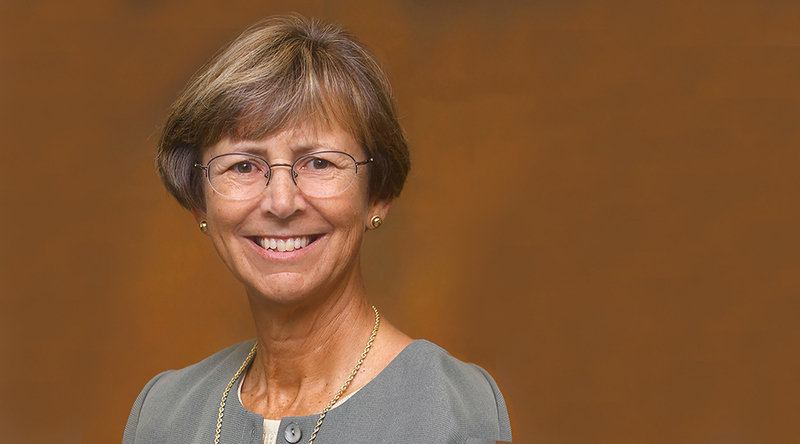 “Joanne’s commitment to the university and her students, as well as her knowledge of cyber will certainly help take our cyber research, education and curriculum to the next level,” said Gretchen Caughman, provost and executive vice president for academic affairs. GRU launched the Cyber Institute in June to develop research, new curriculum and outreach opportunities in cybersecurity. The creation of the institute is a step toward gaining recognition as a Department of Homeland Security and National Security Agency National Center of Academic Excellence in Information Assurance/Cyber Defense. Before joining GRU, Sexton served as the first commanding officer of what is known today as Navy Information Operations Command Georgia. She has more than 20 years of information technology experience in the Navy, spanning hardware maintenance, software development and support, telecommunications services, computer center operations, software quality assurance, space operations management, project management and information security practice. Sexton holds master’s degrees in computer science and in national and strategic studies. She is a Certified Information Systems Security Professional and has earned Global Information Assurance Certifications in several areas of cyberdefense, including security essentials, incident handling, intrusion analysis and penetration testing. The GRU Cyber Institute provides the framework for all things cyber at the university. Current cybersecurity courses and degrees include advanced information assurance through the Hull College of Business, medical informatics program, focused on protection of health information, through the College of Allied Health Sciences, and courses on cyberterrorism through the Pamplin College of Arts, Humanities and Social Sciences. Daisy Carlos, a senior management major at Georgia Regents University, knows a thing or two about business. While she was growing up, Carlos said she remembered her mother starting her own successful clothing business in California despite not having a formal education. Before moving to Augusta from Los Angeles, Carlos said her mother worked three jobs to care for her family, something she said inspired her to work hard herself. And work hard she has. After taking her first business course, Carlos started her very own business at the age of 15, buying and selling high-quality used goods at the Barnyard Flea Market in South Augusta. Now, a senior in the Hull College of Business, Carlos is interning at Savannah River Remediation, the liquid waste contractor of the Savannah River Site. “My internship with SRR has helped me confirm that I want to start my career in project management and later open a nonprofit to provide health and educational support to children in developing countries,” Carlos said in an SRR press release. In June, she participated in United Way’s “Project Vision,” a volunteer initiative to assist local elderly, low-income or disabled families. She said her involvement with SRR and United Way reaffirmed her desire to start her own nonprofit one day. She said ultimately she would like to help children from underprivileged families. After graduating, Carlos said she hopes to visit 10 countries in 10 years, volunteering and helping wherever she can. Click here to read more from the Aiken Standard about Carlos’ involvement in Project Vision. In April, the Hull College of Business Augusta Leading Economic Index (LEI) returned to positive growth after last month’s blip. The LEI increased 0.8% from March. The index has increased 6.1% from April 2014. I have been calculating the Augusta LEI and writing this report for five years. In that time Augusta has seen some tremendous growth (I believe they say this is correlation not causation!). Total employment has grown by 8 percent, with three major sectors contributing to that growth (leisure and hospitality, transportation and utilities, and health and education services). 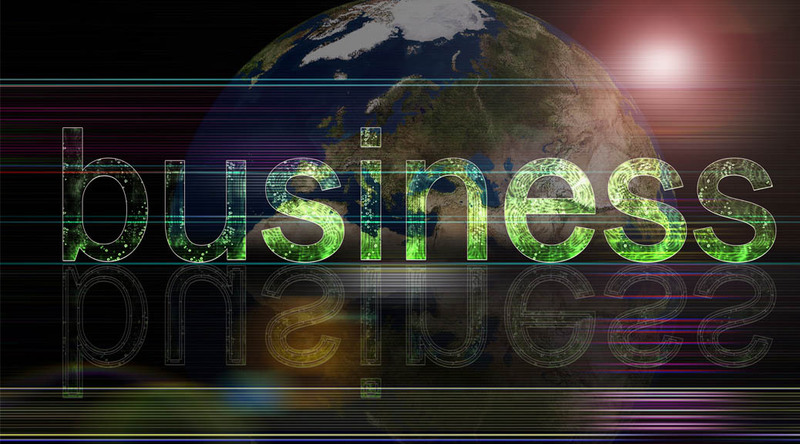 Retail and business and professional services, both large employers, have also seen decent growth. If your industry does not appear on this list, it has underperformed the local average. The housing market has also continued to struggle: the Federal Housing Finance Agency House Price Index for Augusta has fallen from 166.52 in the first quarter of 2010 to 155.22 in the first quarter of this year. The Augusta Leading Economic Index (Augusta LEI) is a monthly composite index that combines several national, regional, and local indicators into a single variable. Leading indexes combine variables that change before business cycle variables such as employment changes. Leading indexes may, therefore, indicate changes that could occur in the economy. Leading indexes are not forecasts or predictions about the future, but may signify future economic activity. The Augusta LEI may provide local decision makers with timely information about future business cycle patterns in the Augusta area. The Augusta LEI uses economic indicators for the Augusta Metropolitan Statistical Area (MSA), which includes seven counties (i.e., Burke, Columbia, Lincoln, McDuffie, and Richmond counties in Georgia, and Aiken and Edgefield counties in South Carolina). The index also includes regional and national indicators to reflect that national trends affect the local economy. The index is constructed in the same way that the Conference Board constructs the Leading Economic Index for the United States. Dr. Simon Medcalfe is an Associate Professor of Finance and Director of the MBA program in the James M. Hull College of Business at Georgia Regents University. He holds a Ph.D. in business and economics from Lehigh University in Bethlehem, PA and a Master of Science degree in finance from Leicester University in England. 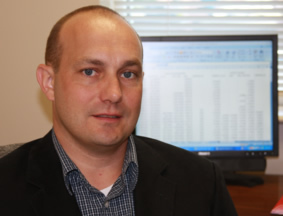 He has published academic articles in the areas of sports and health economics and economiceducation as well as contributing to labor economics and entrepreneurial finance textbooks. He can be reached at smedcalfe@gru.edu.